No man is an island, and the greatest leaders have discovered this. Just ask Batman! In a recent leadership case study we performed with an international Architectural firm, Building Talent tested all of the Principals in the firm with the DISC assessment, and found some interesting groupings among each of the leadership pairs in the various offices. One principal’s profile was the typical fast-paced results-oriented task-focused “High D” profile that is associated with the classical Manager. This is the typical profile that most companies look for when hiring for management or leadership positions. But in the offices that were performing well we realized that those “High D” profiles were paired with a principal who was not like them at all. Their DISC profiles indicated that they were more steady and reliable and detail-oriented and people-focused. 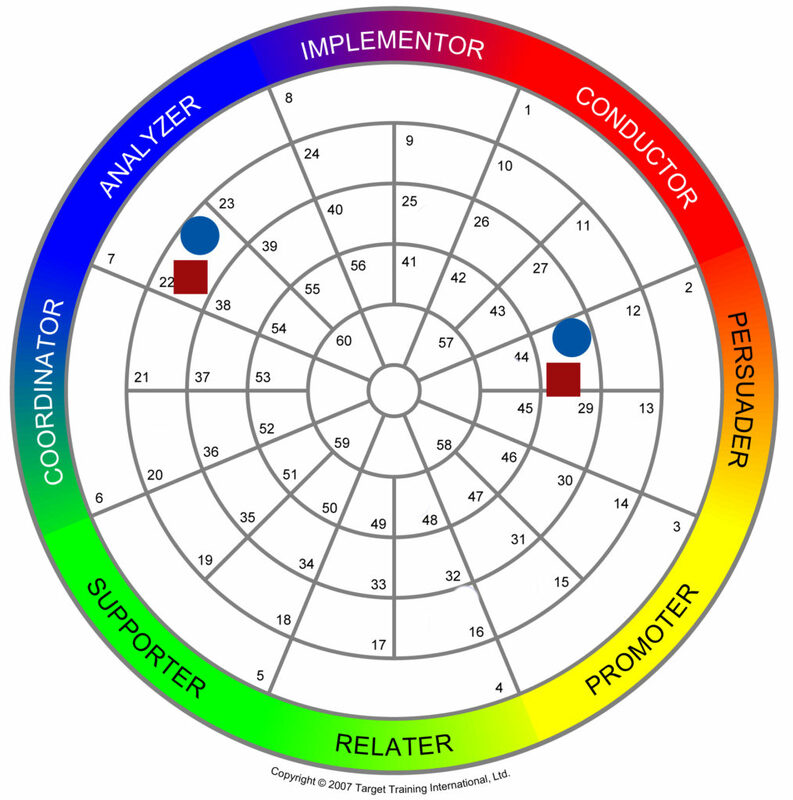 As you see in the graphic below the blue circles run one office in the US, and the red squares run another office in a different country, but both within the same firm culture have discovered the power of this leadership partnership. They learned the valuable truth in their company that they cannot be all things to all people and the company would not thrive if they tried. Instead they allowed for other principals with complementary skill sets to rise up in the company and not only play crucial support roles but leadership roles as well. Sales and productivity do not need to suffer at the expense of relationship and quality. Both of these focuses are valued and championed by a different leadership voice and the company is better for it. What are some of the blind spots in your leadership style? What do you value, and what are the important things that are going unnoticed in your company? Who are those around you in your company that value different important ideas in your company that you can elevate and partner with to strengthen the growth of your firm this year?